QC Inspectors monitoring the production process. 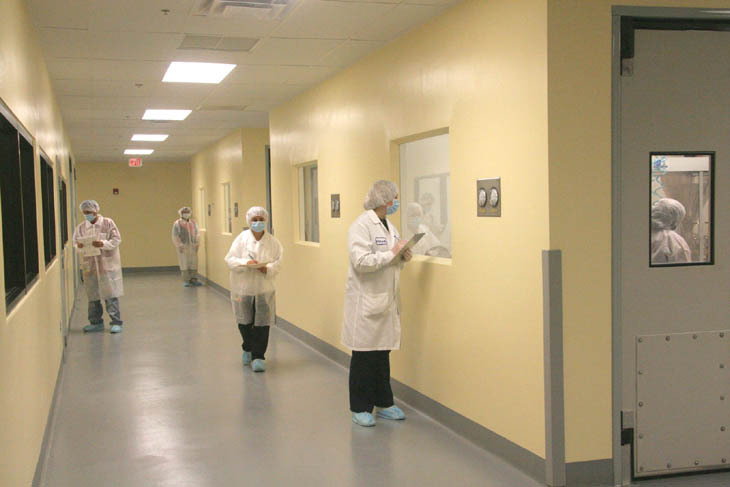 NULAB’S MANUFACTURING is based on a system that is centered on quality control. 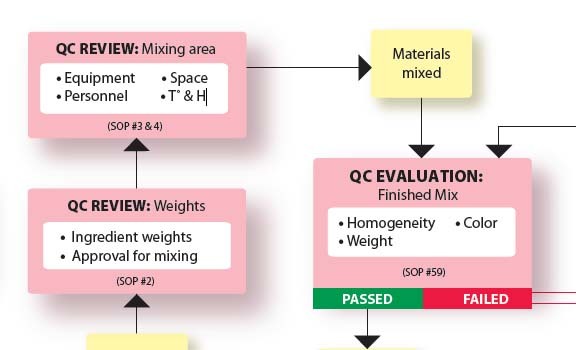 Control of quality exists at each step throughout our production process. It does not consist simply of checking the finished product—it is an integral part of all that we do. We build quality into the product at each production step. 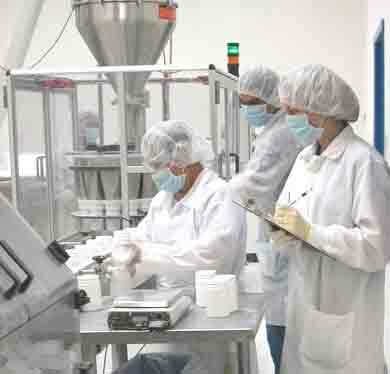 From screening of raw materials, through the steps of weighing, mixing, encapsulation or tabletting, and bottling, a Quality Control inspector is on hand on the production floor to make sure that at each point a Standard Operating Procedure is followed.